As a Youtube beauty guru, I am a huge fan of Jaclyn Hill. She has a great personality, excellent techniques, and has garnered a huge following of over 2 million subscribers! JHill, as I affectionately call her, has collaborated with several brands as of late. Her Morphe Favorites Palette sold out twice and is coveted by makeup enthusiasts of all skill sets. Her collaboration with Gerard Cosmetics continues to sell extremely well (1995 is one of Gerard’s most popular lipstick shades), and her most recent collaboration with Becca Cosmetics has solidified her as a highly influential Youtube beauty guru. Champagne Pop is one of the most universally flattering highlights out there. I decided to put it to the test myself. 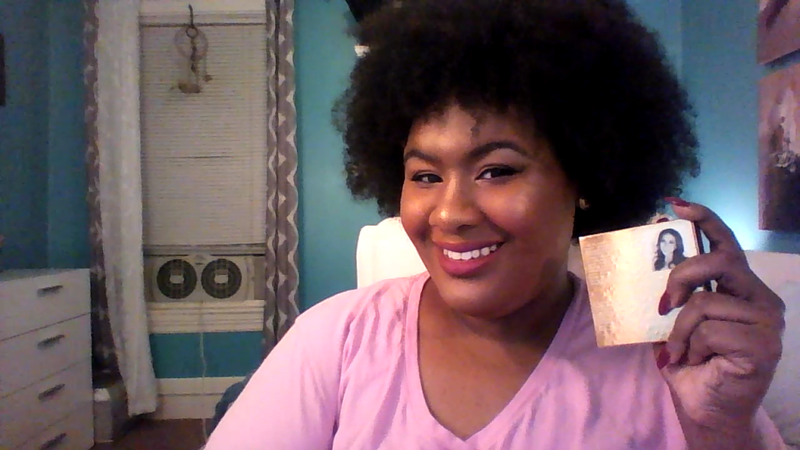 I watched a few videos before purchasing my own highlight, because I wanted to see if it would be WOC friendly. Jaclyn mentioned, on her channel, that she had her sister in mind when creating the highlight because her sister is very pale. It’s difficult for those who are on the extreme ends of the skin tone spectrum to find bronzers and highlights to flatter their skin tone. So Jaclyn worked with Becca to create something that would work for as many shades as possible. The undertone of this champagne colored illuminator is peachy with a hint of beige and a mix of gold/silver shimmer. I’ve seen WOCs with golden undertones handle the highlight better than cooler skin tones, which tend to bring out more of the silvery tones of the product. You can check out the highlight below on my video review. I also show you how to apply the highlight using different brushes. If you’re interested in purchasing the highlight, you can click here. You can also visit your local Sephora to swatch it yourself. Becca’s Champagne Pop by Jaclyn Hill is a limited edition shimmering skin perfector, so act fast if you want to own a bit of JHill’s shine!